New Service Pistol: What Should It Be? The U.S. Army will hold an industry day July 29 to kick off a new Modular Handgun System project. The Beretta M9 has been serving for almost 30 years. Its introduction was controversial, and since then it has not been especially beloved by service personnel during the wars in Iraq and Afghanistan. Its reliability and stopping power have been questioned, and even its fans concede its basic design dates all the way back to the 75-year-old Walther P.38. Traditionalists will call for the reinstatement of the M1911, but it's hard to imagine that classic ever again being issued to anyone other than specialists. You can love the M1911 and still admit that just maybe technology has advanced in more than 100 years. The Army is apparently open to all calibers, and will be looking for an entire system, including ammunition, holsters, web gear, etc. Cynics will note that Beretta was awarded a contract for 100,000 more M9s less than two years ago, so the Italian product is in no danger of being displaced anytime soon. But a whole lot has happened in the pistol world in the last 30 years. What hasn't changed is the requirement for ball ammunition, which argues in most minds for a larger caliber like .40 S&W or .45 ACP. The benefits of 9mm, most importantly standardization with other NATO countries, reduced shipping weight and use of raw materials and ease of training, seem to have taken a back seat to the desire for a more effective sidearm. One thing that seems unquestionable is that the new pistol will have a plastic frame; the advantages in cost and durability are just too great to ignore. That frame will have an accessory rail and will come in multiple sizes. The gun will probably have a threaded barrel for mounting a suppressor and will have the capability to mount optical sights of some sort. The Army indicated it was looking for a .45 pistol a few years back, leading manufacturers to develop several new designs, then pulled the carrot away. Those guns are presumably still on the shelf, along with some significant developments that have come along since, like the SIG P227. If a new pistol contract comes to fruition, it will definitely be worth winning, with a projected 400,000 guns required. Pistols arouse a lot more passion, than do, say, new howitzers or trucks. The pistol is the most personal weapon of all, so the interest in it greatly exceeds its tactical importance. 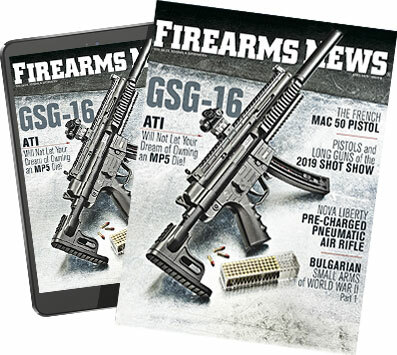 What's your nomination for a new service pistol? It can be a gun that actually exists or one that's just in your imagination.